Buy yourself a beautiful present! Dear guest. Thank you for joining us at Luxury Apartments Delft. It is our pleasure to make your stay as comfortable and enjoyable as you could ever wish for. Now that you’ve met the beauty and hospitality of Delft, we would like to make you an offer you probably can’t refuse. 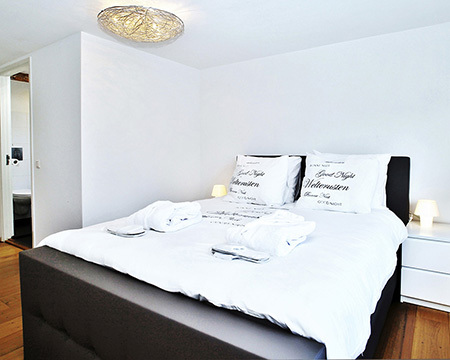 We invite you to buy yourself a beautiful present: a very friendly prized 3-year reservation at Luxury Apartments Delft. In pre-sale, so absolutely guaranteed! Be our special guest: we spoil you during 1 week each year. 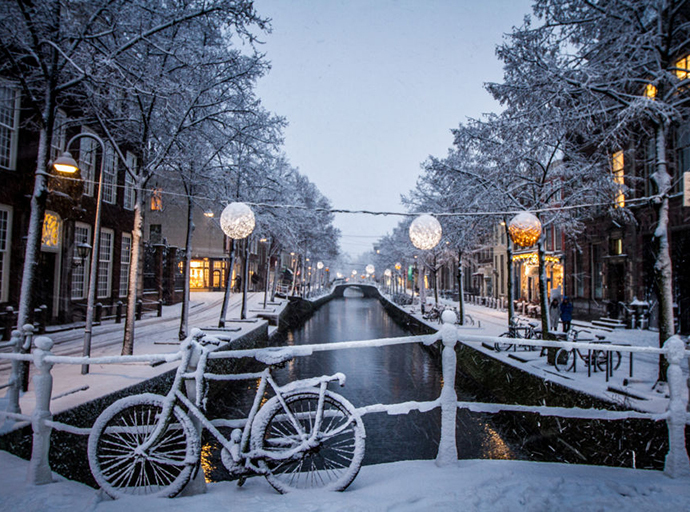 Discover the 3 most beautiful seasons in Delft over 3 years. How do pre-sale reservations work? 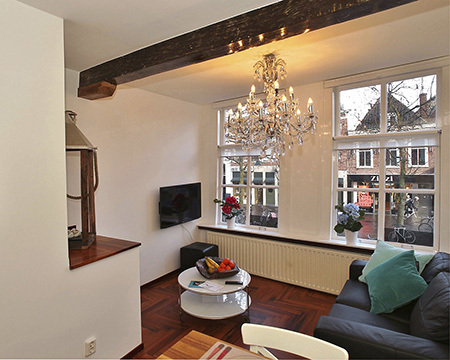 For €1500 you buy the right to be spoiled for 1 week each year (7 nights) at Luxury Apartments Delft and enjoy the beautiful city of Delft. 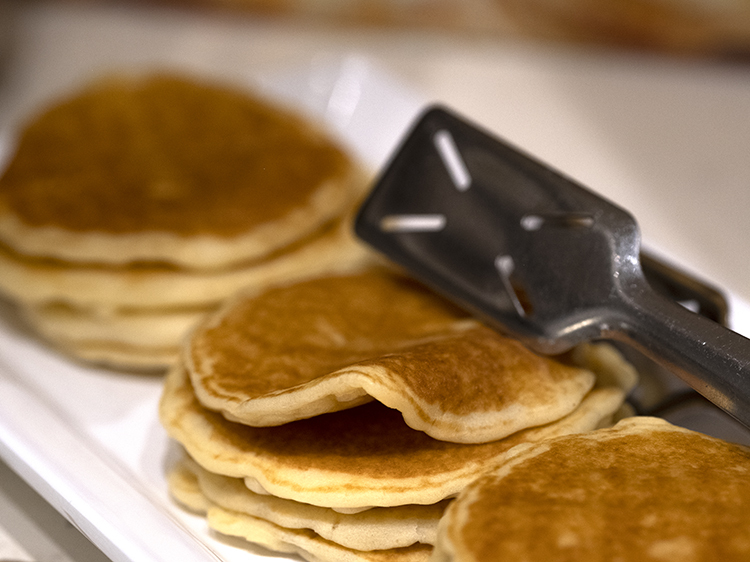 Of course, there is a stylish breakfast in The Lounge. ‘A break for delicious flavors, while time stands still for you to appreciate the delight of the moment’. The effective return on your pre-sale reservation is 48 percent. How about that! Enjoy the fresh sunlight, shining through the ancient streets. 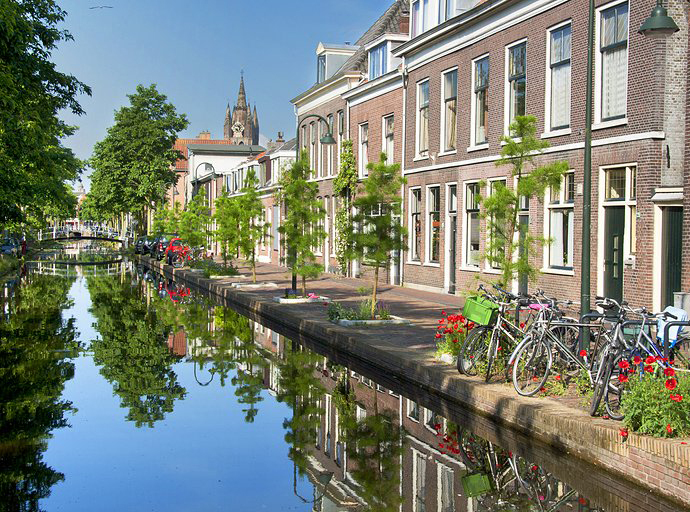 The flowers are sprouting and trees are full of new life in that beautiful Delft decor. Choose between January, February and March. The beach at the Doelenplein. The music on the Beestenmarkt. Jazz on the Market Square. The meadows, lakes and woods in the recreation area De Delftse Hout. In short: comfortably enjoy the delicious Delft sun. Choose between July, August and September. We hope there will be snow because you come to skate on the Market Square. Culinary enjoyment during our Winter Wonder Walks in top restaurants. Why don’t you stay for Christmas and New Year? Choose between October, November and December. This is your amazing deal. Don’t miss it! Being our special guest three years in a row! 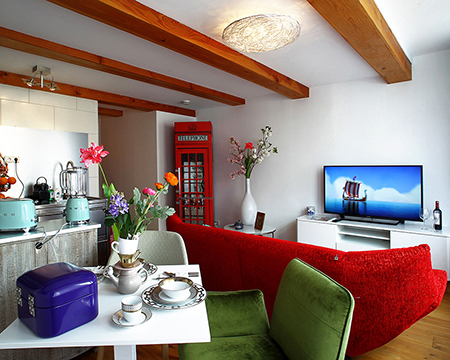 Staying in one of our amazing apartments, situated in the heart of our beautiful city. For only €1500! If you are interested, please fill out the contact form below. We will gladly guide you through the details of your fantastic 3-year stay! 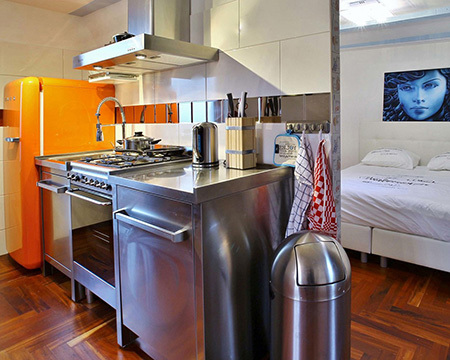 Reserving an apartment will go upon availability. It is possible to let family or friends make use of your Super Deal. For this LADelft always needs conformation through email, stating which guest retrieved the Super Deal. The costs of the total deal are €1500,00 including VAT, excluding the cleaning fees and local taxes per stay. When purchasing the deal, the full amount should be immediately applied. The deal is based on a non-refundable rate. Therefore, no costs will be refunded when cancelation occurs. The Super Deal is a guaranteed stay for 3 consecutive years with per year a stay of 7 nights. The terms and conditions of LADelft apply to this agreement. Click the button below to download all the terms and conditions of the superdeal. 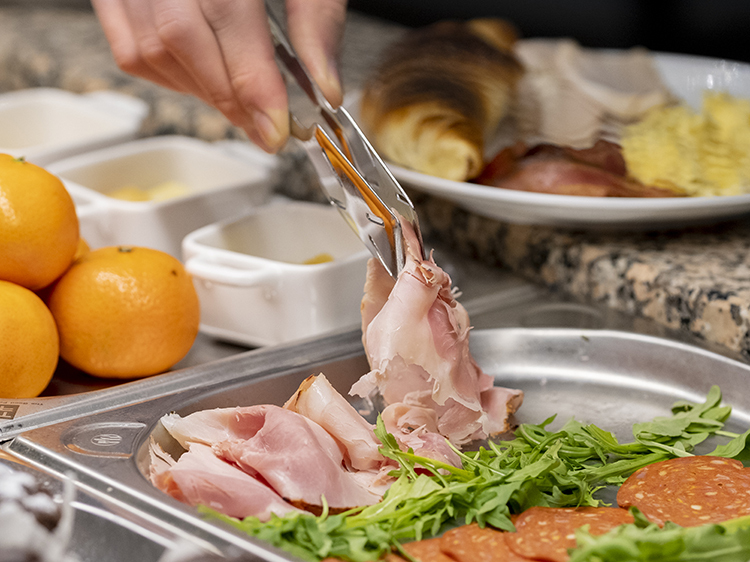 Luxury Apartments Delft serves a delicious breakfast at The Lounge, only one minute away from your apartment. 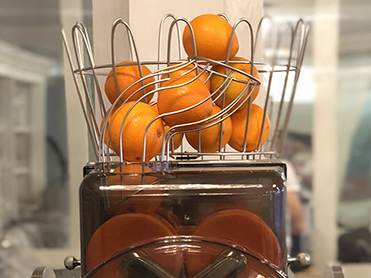 Enjoy a delicious breakfast buffet with fresh bread out of the oven, croissants, pancakes, fruit, fresh orange juice, scrambled eggs and much more. 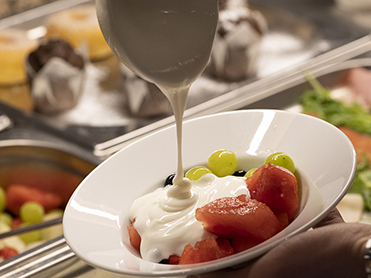 This Royal Breakfast is included in the Superdeal and will be served Mon – Fri 07:00 – 11:00h and Sat – Sun 08:00 – 11:30h.